Benidorm, 6-3-18. The Hospital IMED Levante of Benidorm had the acknowledgement of “Best in class” of the Valencian Community in the area of sports cardiology. “We worked hard to have this service and this encourages us to keep working all days”, declared doctor Mª Dolores Masiá, head of the unit. The service already had hundreds of athletes that had cardiology tests to know their medical condition in sports practice. 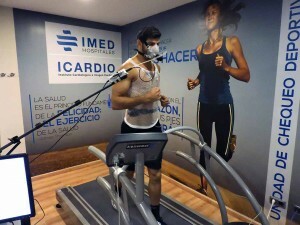 The hospital bet for this specialized service in sports cardiology since more than three years, when Dr. Mª Dolores Masiá join the service and equipped the unit with the technological means needed to offer a high level service for the athlete, that let them have the information to value their medical condition and sports efficiency. 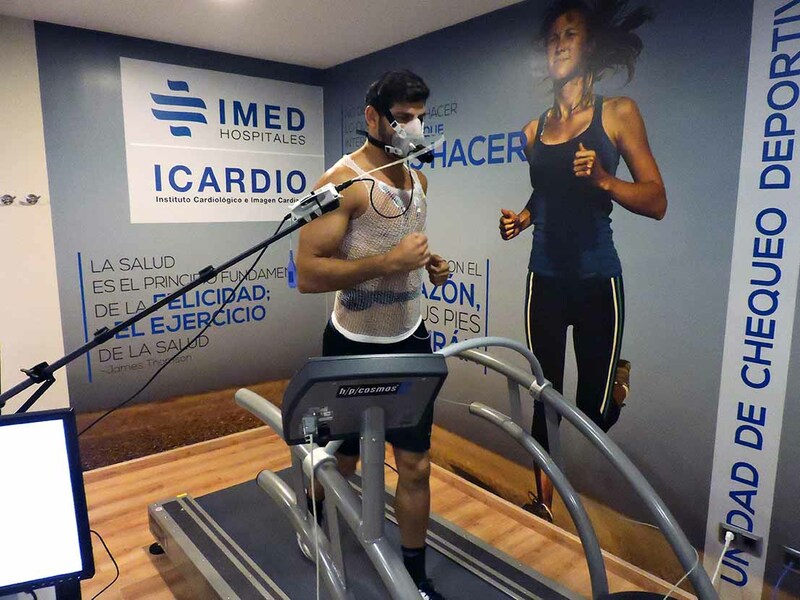 The service has a high resolution ultrasound, treadmill and ergo-cycle of high quality, gasses tests and all the equipment needed to develop the study with the highest safety levels. Beside the medical staff, the unit has high qualified nurses in this kind of tests. Mª Dolores Masiá had become in one of the reference doctors that tried to perform an accurate and evangelizing work about this tests importance. “We are trying that everybody is well informed about medical check-up, upholding a responsible position about this subject and adapting the performed tests to different athletes profiles”, points out Dr. Masiá. “Sport is the best way to invest in health”, trying to calibrate the relevance and the impact that sudden death has in athletes. Regarding the tests that an athlete should have, Dr. Masiá is very clear, “we think allays on the stress test, but a sports check-up should have always an ecg as a basic test and an echocardiogram that let us see the heart’s structure and discover possible pathologies with which you are born. In patients under 35 years, the echocardiogram is even more important than the stress test”. Dr. Mª Dolores Masiá was specialized in sports cardiology in the Superior Council of Sports, center in which many elite athletes of our country are evaluated. Moreover, nowadays is one of the coordinators of the Work Group of Sport’s Cardiology of the Spanish Society of Cardiology and she is involved in many national forums and conferences about this specialty. The service directed by Dr. Mª Dolores Masiá had the acknowledgment as cutting edge service of the Valencian Community.